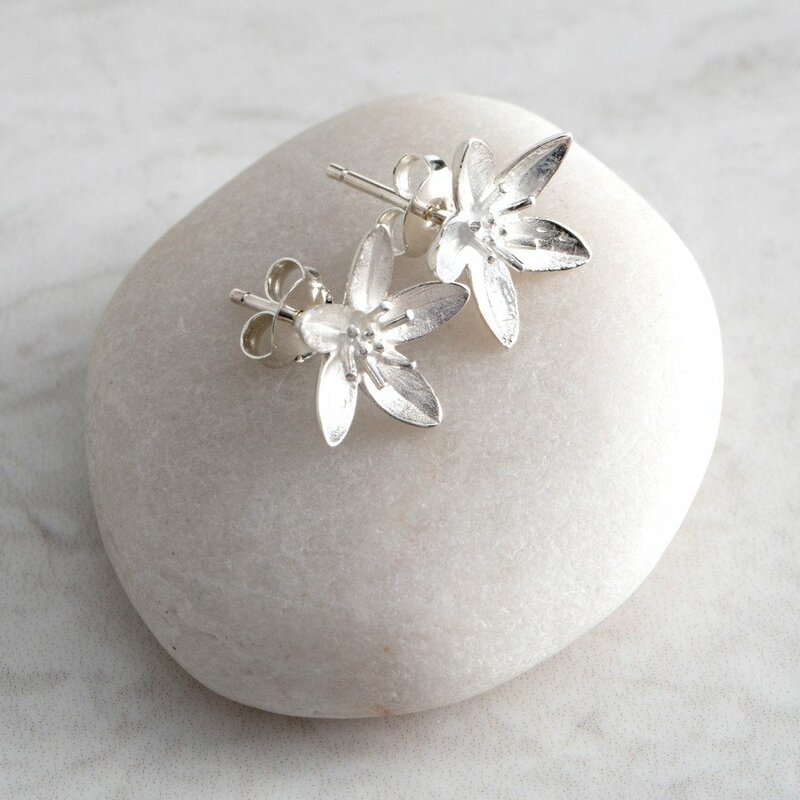 Made from recycled sterling silver, these elegant wild garlic flower stud earrings feature polished edges and a white frosted centre giving it as much detail as the real flower itself. The designs for Mosami jewellery are created in the UK and then producer groups for women’s charity Made By Survivors create the products in Thailand. The women, who have all escaped slavery, receive expert training in both practical life skills and silversmithing, giving them the opportunity to provide for their family on their own. Size: 12.2mm x 12.2mm. There are currently no questions to display about Mosami Garlic Flower 'Health' Stud Earrings.